Zoo With Roy: I See You, Jeopardy! OOOOH- I KNOW IT! I KNOW IT! And of course none of the donkeys (who prepared to feign superior intelligence by memorizing world capitals, European monarchs, and the periodic table) knew the answer, though one was brave enough to offer an awful guess. TAKE IT, BING! Oh man, the Tigers. Priceless (btw, I'm not endorsing that Asian Fail video title ... I didn't even think his tie was that bad). "Hey wait a second ZWR, didn't you kind of predict this whole Roy + Jeopardy thing more than two years ago?!?!" Well then sir, yes, I did. "Dude zOMG *record scratch*. 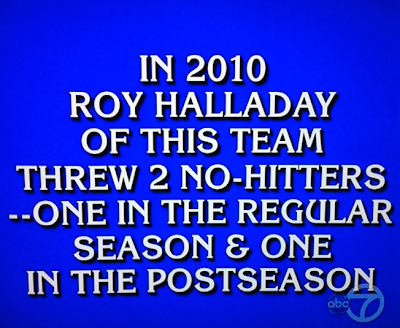 In your MS Paint ... Roy beats in Final Jeopardy ... a tiger. Bing said the Tigers." Judging by their baseball knowledge they are probably Nationals fans. I thought his Thai was awful. 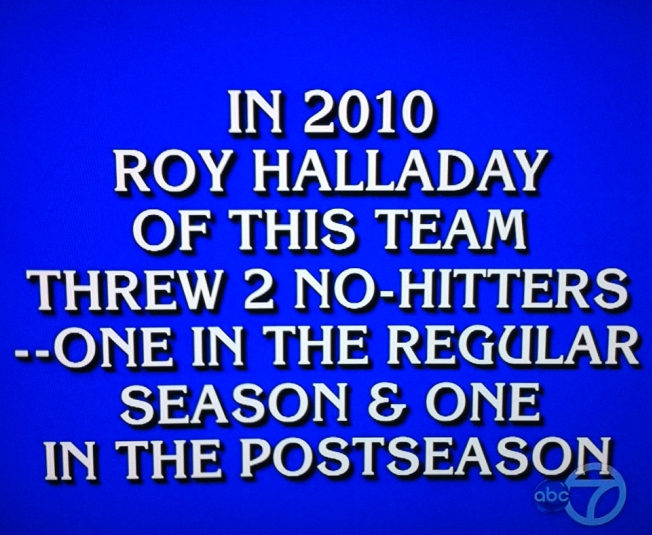 At least Alex Trebek didn't make Roy's name sound French. I hate it when he does that crap.